I've been trying my best to make sure we eat healthier this year. I've been buying more natural and organic foods and steering away from foods that contain any artificial ingredients, colors, flavors or preservatives. I've also started trying to use more natural hair care and skincare products, as well as natural household cleaning products. But, one area I haven't really delved into is organic clothing. I've taken a look at some brands, but haven't had the chance to try any of them. A lot of the brands seemed to be more expensive than I was willing to pay. Thanks to Moms Meet, I was introduced to PACT Organic. PACT Organic uses organic cotton in all of its clothing. Many of their clothing are Fair Trade Certified. They partner with the Global Organic Textile Standard to certify their entire supply chain, including the farms and factory workers. There are no sweatshops or child labor used.They do not use any toxic dyes or toxic pesticides. Thinking about how great organic cotton is! Conventional cotton uses about 16% of the world's insecticides and about 7% of pesticides. No toxic chemicals are used to grow organic cotton, so there is less impact on soil and air quality. Organic cotton uses 71% less water and 62% less energy than conventional cotton. Growing organic cotton also helps keep farmers and their families safe from exposure to toxic chemicals in the field or through their food and water supply. I love that! It's printed on all the packaging and tags on the PACT Organic Clothing. It's great knowing that the company cares about every step in the process of making the clothes, from the farmers growing the cotton to the workers sewing the clothing together. I was sent several pieces from PACT Organic, including the leggings, hoodie and shelf bra camisole pictured above. I loved them all! The clothes are really super soft and so comfortable! I couldn't worn that outfit all day, except I'm not really a leggings person. The prices aren't that bad, either. The leggings retail for $29.99 and come in six colors. They also have patterned leggings for $34.99. 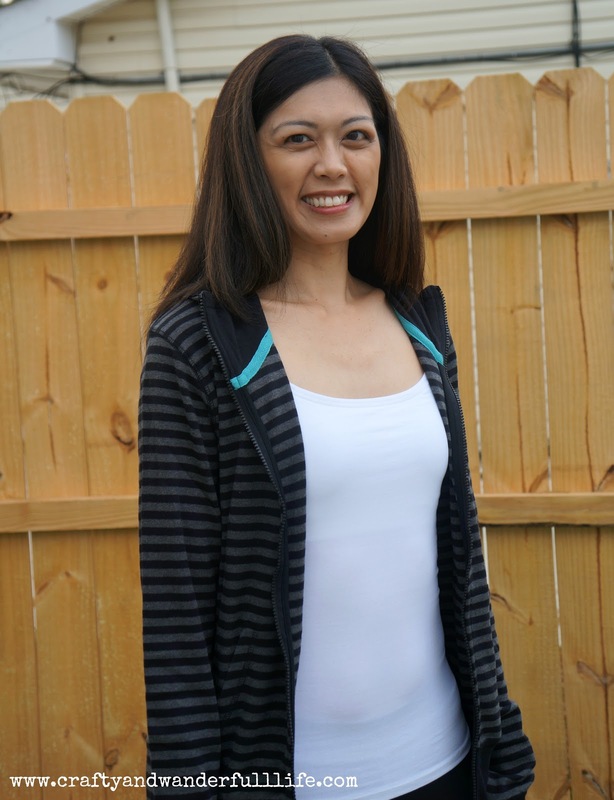 The camisole retails for $17.99 and comes in eight colors. Patterned camisoles are $19.99 and comes in 14 styles. My new favorite hoodie retails for $48.99 and comes in three colors. It's so soft and comes with thumb holes! I've been eyeing a couple of the dresses they have on the website. They range from $30-$40 and they look so comfy! They would be awesome for the summer! PACT Organic also offers styles for men and babies/toddlers. PACT Organic has graciously given me a discount code that my readers can use to save 25% off their entire purchase! You can shop through this link or enter code: WanderfulLife25 at checkout. Hurry, the code expires 8/31/2017! 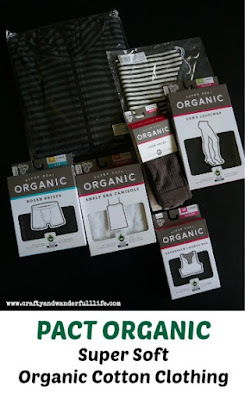 Have you tried any clothing from PACT Organic? What did you think?